Great ideas are one thing. Turning that inspiration into a clear commercial proposition that gets optioned is what this one day intensive class addresses. And Sam is formidable. Get ready to have your ideas kicked into commercial shape. Samantha Horley has twenty years in international film sales (her many credits include Memento, The Big Lebowski, The Blair Witch Project and Lock Stock and Two Smoking Barrels), she is a specialist in worldwide markets and audiences and an expert in assessing the commercial viability of scripts and packaged projects. Now, as a scriptwriter represented by United Agents, she puts it all into practice herself. 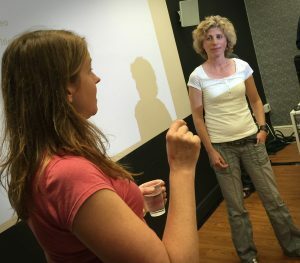 Give yourself a better chance of getting your film made, picked up and seen in this OUTSTANDING one day workshop with Samantha. The class will cover all genres and how to mould your ideas to fit; worldwide distribution and what buyers are looking for; pitching, presenting and submitting skills; and a chance to pitch an idea. The class will start with a brief overview of how worldwide distribution works. You will get into positioning and presentation including submitting and pitching skills, “the two line pitch” and writing synopses and taglines. 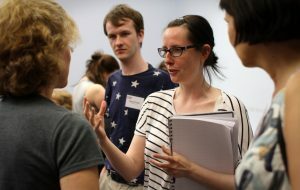 In the afternoon you will delve deeply into every known genre, unravelling which are the most and least attractive to distributors and audiences, and talk about how to develop your ideas to fit. At the end of the day you will get a chance to pitch an idea you’ve come up with on the day to a group of your peers. Writers can often create ideas and screenplays in a vacuum, not realising their film has no audience, or such a minimal one, that its chances of getting financed and made, let alone distributed (if they’ve been entrepreneurial enough to get it made via independent means) are slim to nil because the truth is that sales companies and distributors need to make money. This not only causes writers (and filmmakers) a lot of wasted time, but a vanload of heartache. This one-day workshop is for Screenwriters who want to arm themselves with information, learn the basics of how distribution and international film sales works, and, more importantly, what these businesses are looking for in terms of screenwriters, filmmakers, ideas and genres. Learn how these companies acquire, launch, sell and position their films from the first film festival then all the way down the distribution chain, to which specific target audience and in which media they watch them, so you can better understand where your film may fit in this world. And if it doesn’t, how to think about reformulating it so that it might. Samantha will talk presenting, positioning and submitting and titles, taglines and synopses. Additionally you will spend a lot of time on genre so you can understand how it is used, what are the industry acknowledged genres, what are the “made-up” genres and what are not genres but “formulas” (eg road movies). And why it is so important you become a master of yours. Samantha will present a case study of a low budget film by a first-time director with an unknown cast and no clear genre. She will explain and demonstrate how she repositioned it and thus was able to get sales companies, distributors and festivals interested because they now could see exactly what it was, who it was for and how they might sell it. She will have you working hard in this class!! There will be exercises throughout the day to help you rethink what you thought you knew. At the end of the day, you will get a chance to put it all into practice and pitch an idea to a peer group and then the best will get pitched to the room, and of course, to Samantha. This workshop is informative, entertaining and practical and assumes you are already the creative type and that you love movies. It is aimed at any level of feature Screenwriters, Directors and Producers or those looking to move into features from another discipline be it commercials, music videos or TV. With twenty years in international film sales, marketing, development and production, for PolyGram, Summit and, until recently, as MD at Salt, Samantha has shepherded – and Executive Produced – British, Irish and American features and documentaries towards launch at A-list festivals, and worldwide distribution, specialising in the U.S. market; in 2010 she founded The Vipers Nest to support rising British filmmaking talent and now curates training courses under the same banner. Samantha is also a freelance development consultant helping filmmakers of all levels and scripts of every genre to focus on the commercial viability of projects with a view to giving them the best chance of being made and being seen. And she is now a screenwriter represented by United Agents. 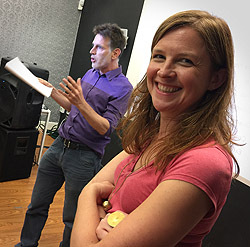 Samantha is a prolific Producer, freelance script and development consultant and a lecturer who creates and runs training courses for emerging filmmakers.